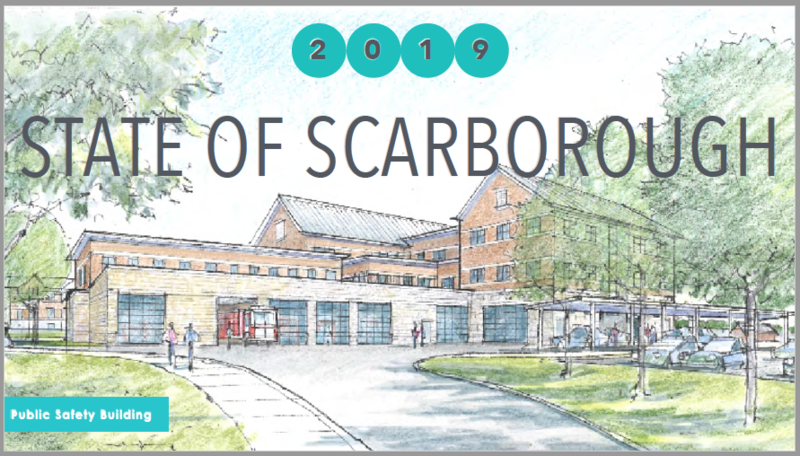 Tom Hall, Scarborough’s Town Manager, gave his annual presentation to the Scarborough Community Chamber of Commerce at their morning membership meeting on April 11, 2019. The meeting was hosted by Atria Scarborough, a Senior Living Community in Oak Hill. Mr. Hall focused on the theme of growth management and related policies and projects. The proposed budget and budget process was also discussed, highlighting the opportunities for folks to be involved in the process.